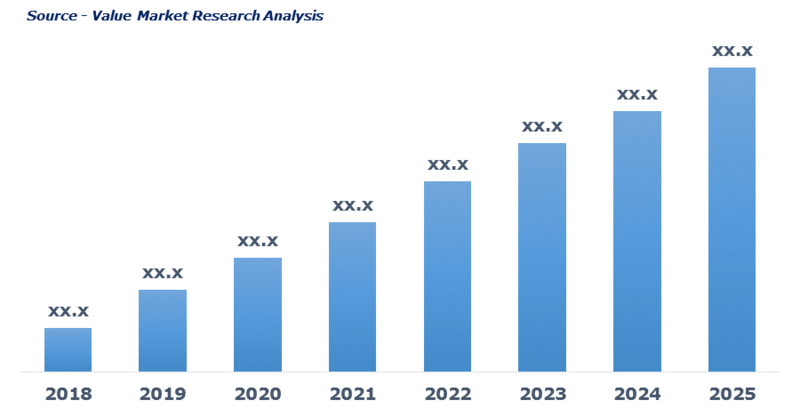 As per this study, the Global Smart Parking System Market was valued USD 5.5 BN (by revenue) in 2018 and is anticipated to reach USD 11.5 BN by 2025 with a CAGR of 11%. Smart parking system refers to the parking solution by using sensing devices and camera to determine vacant space. It encompasses of real-time data interface, sensor system and the website or mobile application. The real-time data is collected through the sensor attached and is further transmitted to the application or website. This conveys the availability of vacant parking space conveyed to the user. Rising trend of adoption of IoT and machine-to-machine (M2M) devices is driving the market growth. An increasing number of vehicles leading to high demand of vehicle parking management system is further boosting the market demand. Owing to quick and accurate data regarding parking availability has widened its application area in commercial infrastructures. Additional features such as online parking payments and notifications regarding parking time and availability are again contributing majorly in market demand.